San Vito lo Capo, in the province of Trapani, is one of the most popular holiday resorts in Sicily. The tourist areas of San Vito lo Capo are those characterized by the presence of miles of white beaches and clear blue sea. 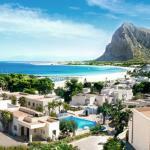 The hotels in San Vito lo Capo are often overlooking the beach. 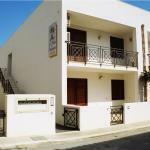 Traveleurope offers a range of accommodation for your holidays in San Vito Lo Capo. You can choose between apartments, 3 star and 4 star hotels with online booking and instant confirmation. Select travel dates and find all available hotels in San Vito Lo Capo, check out guests reviews and locate properties on San Vito Lo Capo city maps, book your favourite accommodation with no pre-payment. All rates are in Euros and inclusive of all taxes. 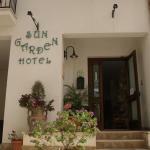 Hotel Piccolo Mondo is a comfortable family run hotel, in the picturesque fishing village of San Vito lo Capo. The beach is less than five minutes walking. The Hotel Iris awaits you along the beach of San Vito Lo Capo. This 2 star hotel, good value for money, offers convenient parking, reception open 24 hours on 24 and airport shuttle service. In a superb location in San Vito Lo Capo, close to beaches and the Nature Reserve of Calamancina, you will be received by the Relais Le Nereidi. Thanks to the bus stops you can reach Palermo and Trapani.